How a small bench became a conversation starter. Sometimes a small flaw can set wonderful things in motion. 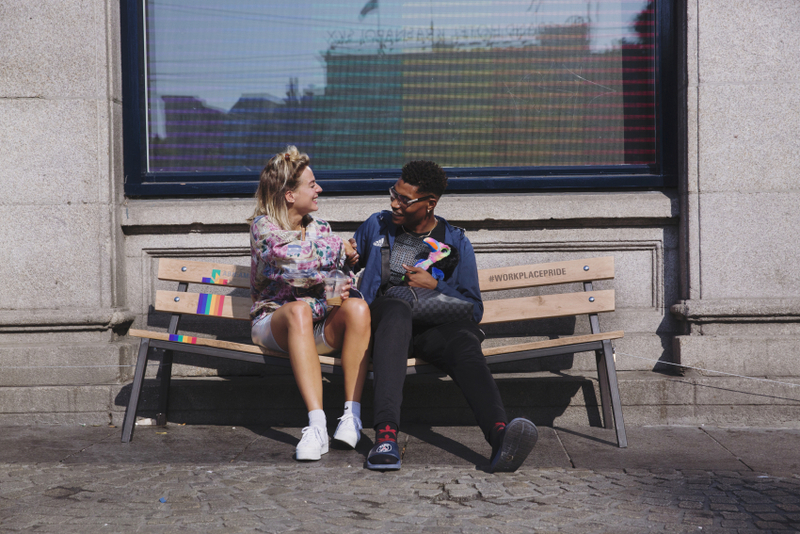 ABN AMRO asked us to create a fun and easy going concept for Amsterdam Pride, and that's where the idea for a cracked bench was born. Beauty is in the eye of the beholder, right? Diversity and inclusion are super importants topics within the organisation of ABN AMRO. From the board room to the work floor and everywhere in between: ABN AMRO strives to create a company culture where everyone feels free to be open about their sexuality and to carry their identity with pride. It was our noble task to translate this company culture into a fun and easy going concept for Pride '18. The little bench that is the hero of this mini-campaign has a crack in the middle. This makes it a fun conversation starter that brings people together... literally! Lovingly, we named the small bench the 'Liefdesbank' (bank of love) and made it the star of several online videos. In these videos, ABN AMRO employees were asked about diversity on the work floor and about their sense of freedom within the company. 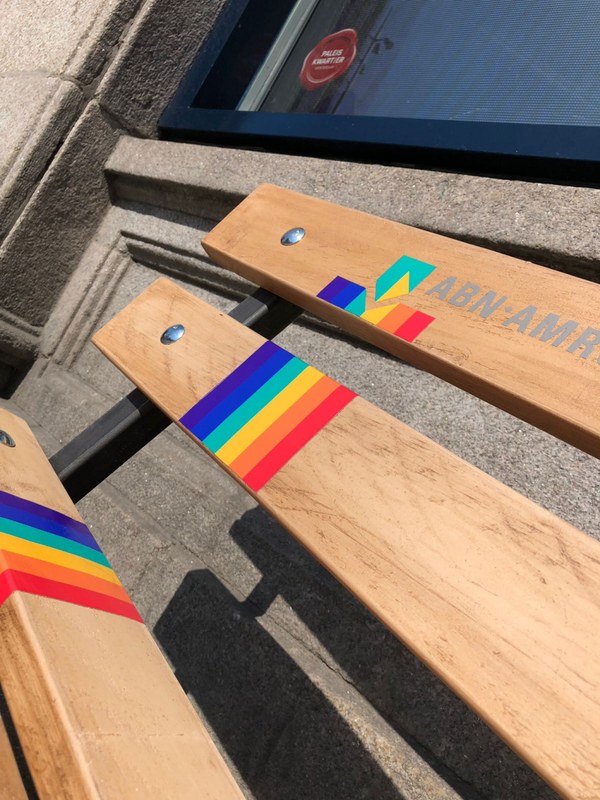 The bench was also placed outside several ABN AMRO branch offices during Pride, challenging those who passed by to take a seat and to get to know eachother.